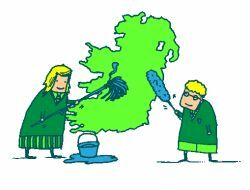 St. Brigid's have achieved an amazing 7th Green Flag! 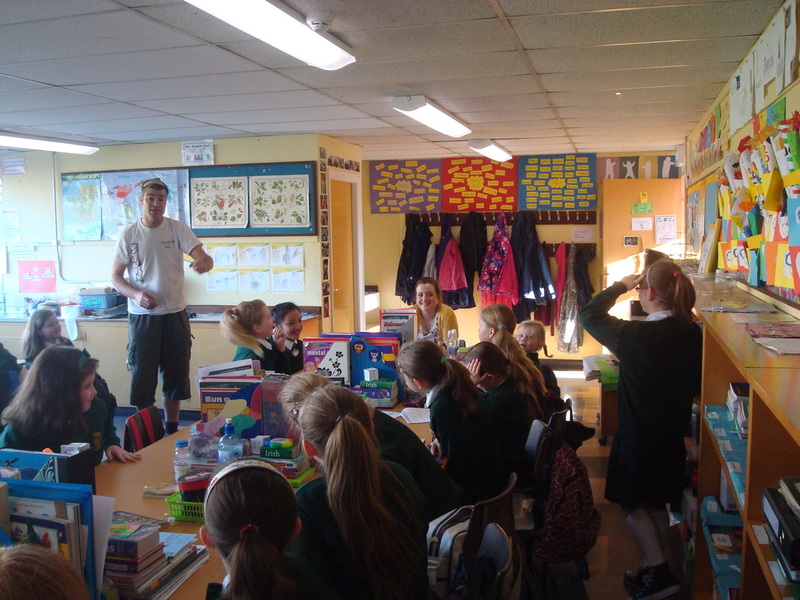 We have already began the journey to the 8th Green Flag-Global Citizenship & Marine Environment. 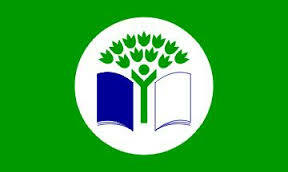 ﻿﻿For more information on the Green-Schools Initiative and its themes, click here. We have many collections for many charities; you can bring in batteries, phones, bus tickets, ink cartridges, electrical appliances and stamps. In St. Brigid's, we use sensor lights so a light can never be left on wasting energy! 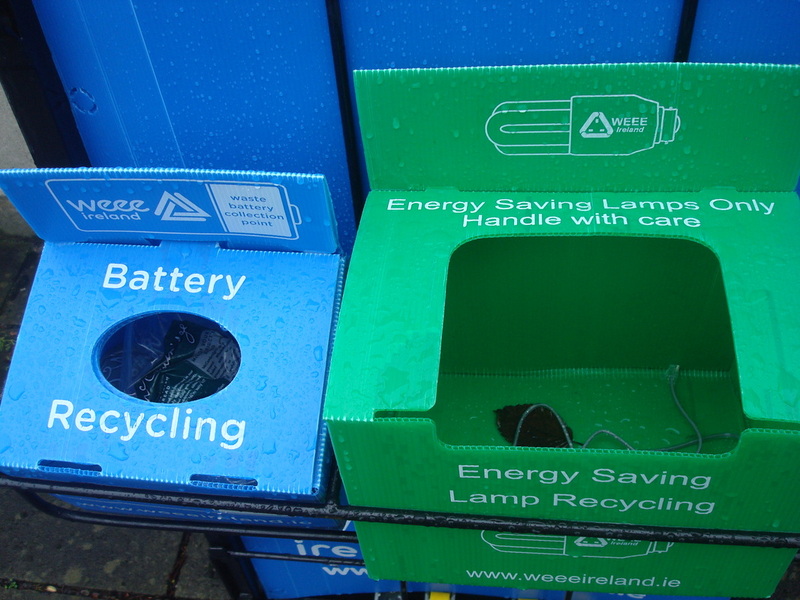 We re-use, recycle or dispose of our electrical equipment ethically by arranging WEEE collections! We have an organic garden full of delicious fruit and vegetables! Our beautiful school grounds are home to frogs, foxes, hedgehogs, rabbits, pheasants, a badger and a host of birds! We use recycled paper when photocopying! We use fair-trade products in our staffroom! We recycle ink-cartridges, batteries, paper, cartons and we compost! We are proud of all the native trees we have growing on our grounds! 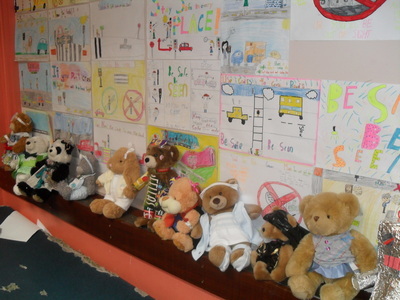 5th class perform weekly tidy classroom checks to keep everyone on their toes! We are proud of our achievements so far but we know we have to keep up the great effort! In St. Brigid's, we have 20 different nationalities in our school population and we are learning all about the different cultures of our pupils and classmates! Our Parents Association organise termly clothing and textile collections as fundraisers for our school! We walk, cycle, skate or scoot to school whenever possible! 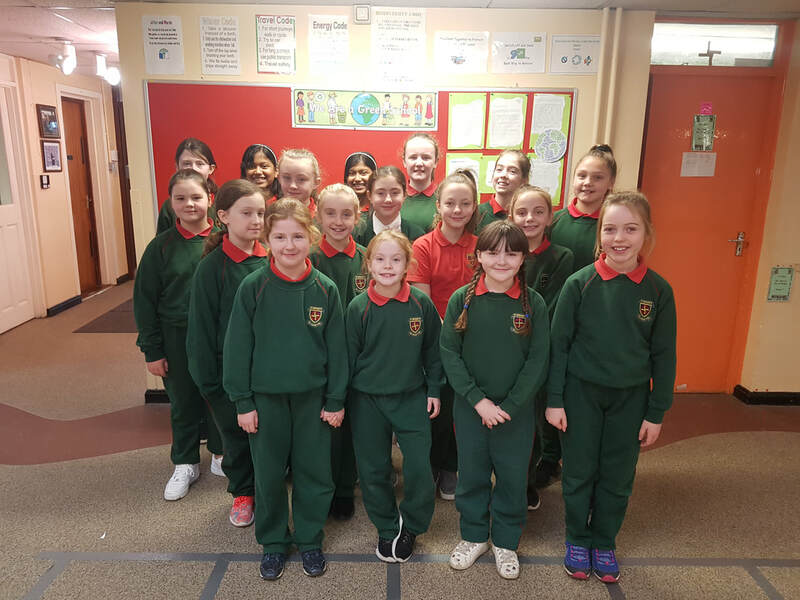 The Green Schools Committee is made up of two members from each 3rd to 6th class, representatives from the wider community, our caretaker, teachers and principal. The committee meets once a month at lunchtime with additional meetings for special events. Ms. Burke, Ms. Keogh, Ms. Conneely, Ms. Hassett, Ms. Mc Shane, Dave our super caretaker and Terry our very own gardener. Our Parent and DCC Representative is Ms. Marguerite Delaney.